This may sound like a stupid question, but I was wondering, why is Luxembourg a Duchy and not a kingdom? Was it ever a kingdom? Or was it once part of the old Germanic or perhaps French principalities? Actually, I think it was part of Belgium for a coupe of hundred years. "After a long period of foreign sovereignty (Burgundian / Spanish / French / Austrian / Revolutionary French) Luxembourg regained its national independence in 1815.¤ The longest occupation was between 1443-1555 by Burgundy. The Congress of Vienna settled the destiny of the country, by raising it to the rank of Grand Duchy, and by giving it as personal property to the King of the Netherlands (William I of Orange-Nassau). 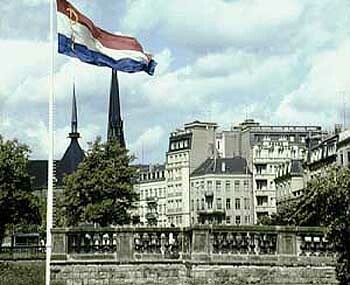 This personal union between Luxembourg and the Netherlands lasted until 1890. During this period the political independence and autonomy were strenghtened, and the democratic institutions were developed. The 11th of May 1867 is one of the most important dates in national history. The Treaty of London reaffirmed Luxembourg&#39;s territorial integrity, and the political autonomy which had already been granted by the Treaty of London of 1839.¤ Furthermore, Luxembourg was declared perpetually neutral, and the great powers agreed to guarantee and to protect the neutrality of the Grand Duchy. 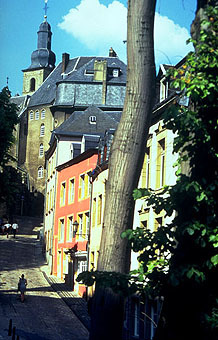 Since 1890, when the Crown of the Grand Duchy passed to the elder branch of the House of Nassau (N.-Weilburg), Luxembourg has had its own dynasty." ¤ 1815 Congress of Vienna created Kingdom of the Netherlands, including Belgium and the former Dutch Republic. 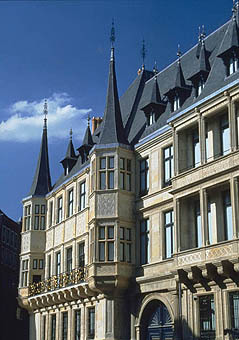 Luxembourg became a Grand Duchy, under the rule of the Netherlands. Eastern third of Luxembourg annexed by Prussia ( Second Partition of Luxembourg). ¤ 1839 First Treaty of London (Third Partition of Luxembourg) went into effect. 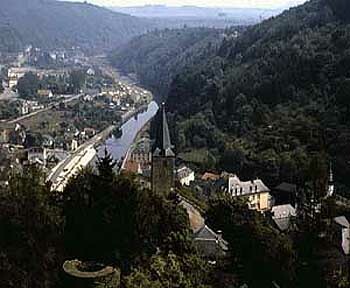 Western part of the Grand Duchy became Belgian province of Luxembourg. Luxembourg is separated from Belgium, and becomes semi-independent, but ruled by the Netherlands. Nassau-Weilburg is effectively extinct... The current Grand Ducal Family members are agnates of the House of Bourbon of the Parma line. Am I the only one who thinks they should be Bourbon-Nassau? Why give up being the senior line of the House of Nassau to become a junior line of the House of Bourbon, though? nassau weilburg is extinct? 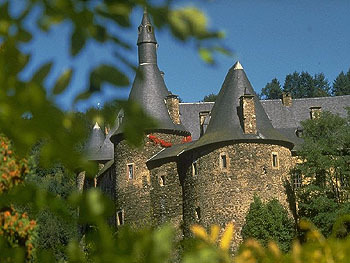 i don't think so... there are many royals in luxembourg's royal family that belong to that house. in fact, grand duke henri is named henri of nassau weilburg. Grand Duke Henri is an agnate of Bourbon. He is only Nassau through a female line. what is an "agnate" anyway? Agnate is a male-line descendant. I am an agnatic descendant of my father&#39;s father, etc. I was on a photo site about Luxembourg and what a beautiful country; however, I was wondering is it a big spot for tourists? What is the quality of life like in Luxembourg and does anyone know if many expats from other countries live there? 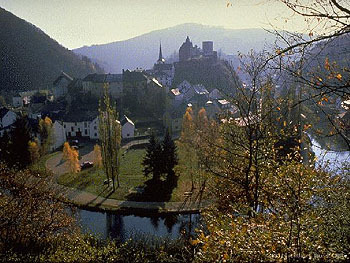 The next time I visit Europe I&#39;ll definitely head on over for a day or two to Luxembourg. Well, there is the Cathedral of Notre Dame. What is the quality of life like in Luxembourg and does anyone know if many expats from other countries live there? 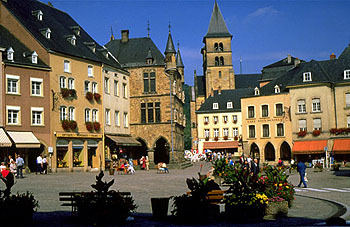 Luxembourg has the highest income per capita of anywhere in the world, so I suppose the quality of life is rather good. This is one of the most informative websites that I am aware of on the internet about Luxembourg. what a beautiful country; however, I was wondering is it a big spot for tourists? What is the quality of life like in Luxembourg and does anyone know if many expats from other countries live there? 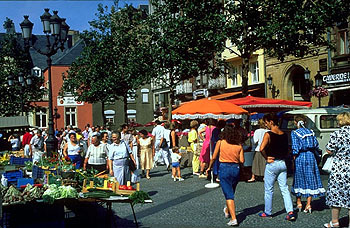 Luxemboug is one of three European cities holding the "organs of the EC" (the other two being Brussels and Strasbourg). Hence, there is alot of high powered people in Lux and travelling to and fro. Luxembourg is also the headquarters of the biggest steel concern in Europe if not the world (Arcor?/Arbed), the biggest airfreight concern (Cargo-Lux) and one of the bigger charter air concerns (Luxair). So, I imagine a lot of expats. It is a nice country ... consider it like a "best kept secret" ... they don't advertise too much, with only 746,000 inhabitants (tax) money is scarce and therefore a little amount has to be of the highest quality in being spread around. As an exampble, if I recall some of my reading, the only significant embassy they have beyond Europe is in Japan. Religion: no official religion. Catholics (94,9%); protestants (1,1%); others (4%). flag&#39;s day: 23 june, since 1921.
other cities:: Esch-sur-Alzette 25.500 hab. ; Differdange 17.700; Dudelange 17.000 (2000). The standard of living is very high. There is a literacy rate there of 100%. I was amazed when I read the stats regarding Luxembourg. Not only is it a beautiful country, I was pleased to hear that the standard of living was so high. Usually that means little or no crime; moreover, I was shocked to learn that many who live in Luxembourg are from other countries. Thanks Elle for the link you posted, by the way :flower: it helped a lot. I was thinking about taking a vacation next May (my original plan was to visit Bali), but I&#39;ve been leaning towards Europe since I haven&#39;t been there in five years. After hearing about all the wonderful things about Luxembourg, I&#39;ll definitely have to make a two day stop to this beautiful country. A nifty website for information about Luxembourg (and other countires) is the CIA world fact book. It has a lot of stuff on it for all the countries in the world. There is a literacy rate there of 100%. I too have read that Luxembourg has a 100% literacy rate. Is this even possible? If this is true, the country is saying that not one person in Luxembourg has been born with a learning disability. What level of literacy must you achieve to qualify?